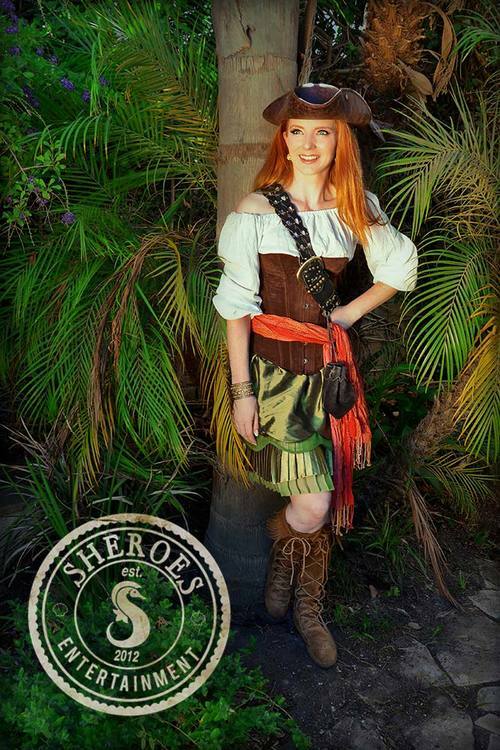 Set sail for adventure when you book passage to one of our legendary pirate parties or shows! Captain Savvy is ready to take your guests on the adventure of a lifetime! Peter Pan, The Pirates of the Caribbean, Jake and the Neverland Pirates... they all have one thing in common: loads of great pirate fun! Our Los Angeles based pirate crew is the same one that entertains over 45,000 guests each year at Tall Ships Festival and is renowned for its highly active, enthusiastic, and splashtacular team! In each of our pirate parties your birthday party guests are swept away into the days of olde by being recruited to their new pirate party crew and undergoing REAL pirate training with plenty of nautical nonsense, piratical pranks, and tons of hands-on learning designed to make your event arrrguably the best in town! All of our pirate activities and games have been hand-picked by our world-class team to be authentic, incredibly fun, and perfectly appropriate for your child’s age and abilities. If you are expecting children over the age of 8 please let us know as we have special suggestions just for them! Our renowned pirate birthday parties start at $250 based on location and time duration. Our incredible action-packed scripted pirate shows are ideal for county fairs, schools, community festivals, and launch parties start at $500 based on location and number of shows per day. Film-quality Cap’n Jack, Cap’n Morgan, and Cap’n Hook character impersonators are available on special request for meet and greet or strolling work. The look-alikes start at $350 per hour based on location per look-alike. A pirate character impersonator with years of theme park experience offering a turn-key pirate experience on land. The party will have official party announcements in character and photo opportunities to begin before moving in to themed activities including a pirate name game (a bean bag specialty toss with a pre-designed board), a pirate sing-along with top sea chanties inspired to make every kid believe that "A Pirate's Life For Me" is what they really aspire to! Your young guests will also receive stick-on pirate tattoos, learn how to dance a fun pirate jig, have a pirate story time, and participate in a gave of "find me treasure" where the pirate captain hides prizes and gives the children clues on how to find them. Our female pirates (secretly certified lifeguards with some of the best kid-wrangling skills in the business!) are able to be specifically requested for in-water pirate training and piratical pool games for parties. Double the pirate, double the fun! With two pirates we can present a full sword fighting show! Northern Los Angeles County (inc. Hollywood, Pasadena, Altadena, Arcadia, Glendale, Burbank, Porter Ranch, Northridge, Culver City, Woodland Hills, West Hills, Granada Hills, La Canada Flintridge, Silverlake, North Hollywood, West Hollywood, Bel Aire, Beverly Hills, Calabasas, Encino, Hidden Hills, North Hills, Canoga Park, Agoura Hills, Malibu, Pacific Palisades, Santa Monica, West Side, Westwood, Brentwood, Hancock Park, Porter Ranch, Valley Village, Studio City, etc. ), and Ventura County (inc. Moorpark, Simi Valley, Camarillo, Thousand Oaks, Westlake Village, and Oak Park).